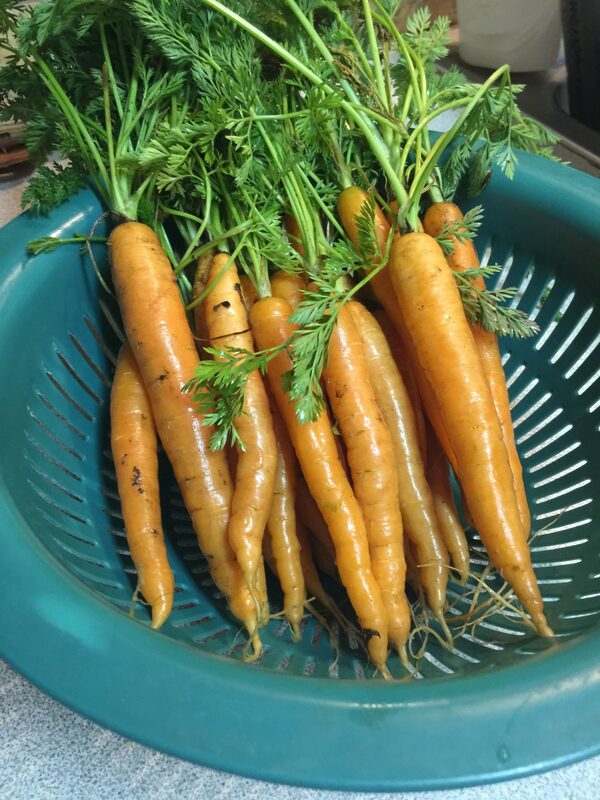 There is few things as amazing as baby carrots, especially in the spring. Last week my youngest, Ajax turned four. He had helped his Dad harvest a whole row of baby carrots. 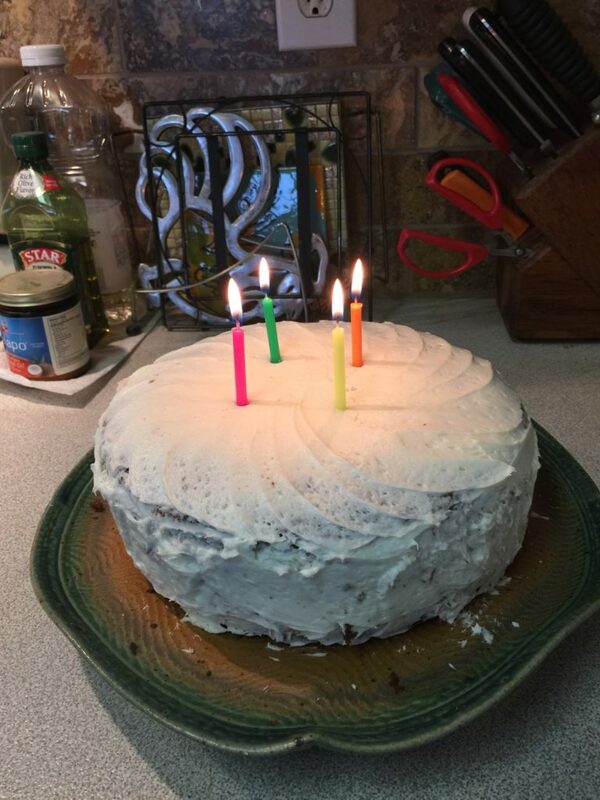 I decided to use some of them to make his birthday cake. He decided to help me make that too. 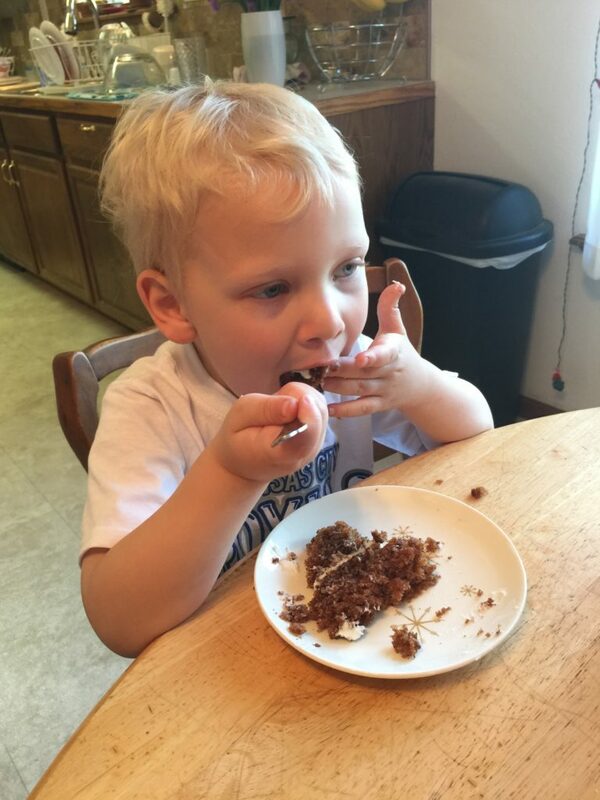 So after his first bite, he had harvested, baked and eaten his own birthday cake. The recipe that I decided to use came from Joy of Gardening Cookbook by Janet Ballantyne. I had never tried it before but we have all voted that it will be the go to carrot cake from now on. The difference between it and other carrot cakes is that it is a cross between a carrot cake and a spice cake. 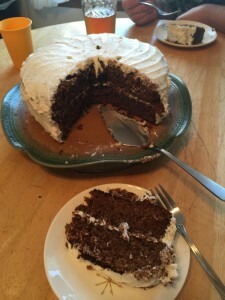 It takes on a lovely dark brown color, which is so different from your usual carrot cake. Check out the picture below! Doesn't it look chocolate? Preheat the oven to 350 degrees. Cover currants with hot water and let stand. Peel carrots and cut into chunks. In a food processor, process the carrots to a finely ground consistency. Measure out 3 cups of carrots. Drain the currants and process with the walnuts, if using, in a food processor until they are roughly chopped. Add the 3 cups ground carrots, the currants and walnuts, and the dry ingredients to the oil and sugar mixture, beating the mixture and scraping the sides of the bowl. Add the vanilla and mix well. 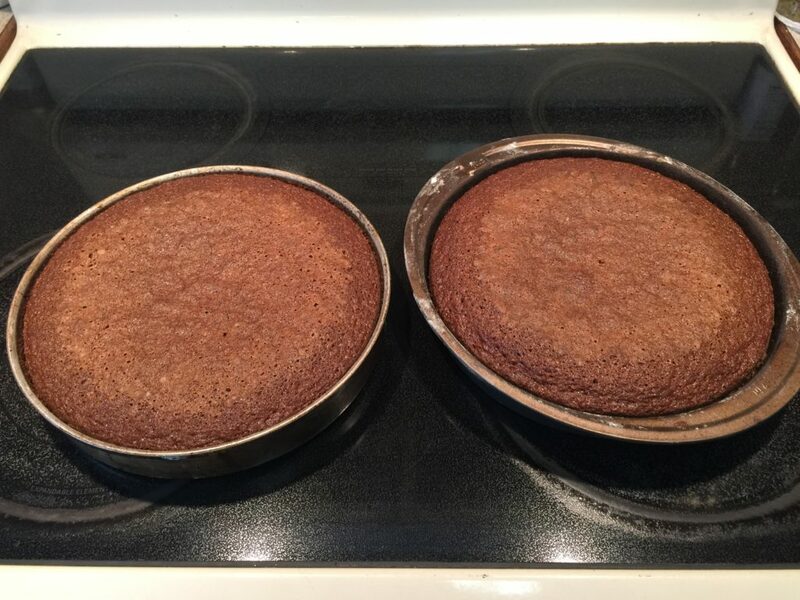 Pour the batter into 2 or 3 greased and floured 9-inch cake pans. Bake 2 layers for 50-60 minutes, 3 layers for 45 minutes. Cool the cake and frost with the cream cheese frosting. To make the frosting, cream together the butter and cream cheese until the mixture is light and fluffy. Slowly add the confectioners' sugar until well-blended, using more sugar if necessary to get a spreading consistency.